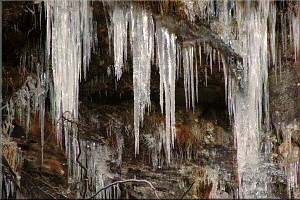 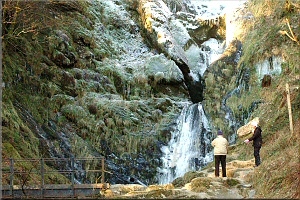 These pictures were taken during the cold spell in early January 2009. 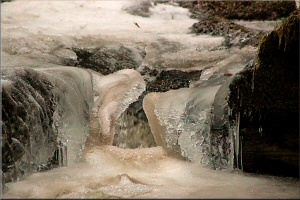 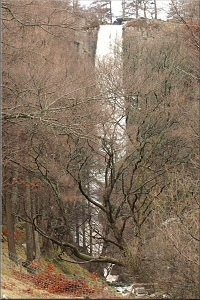 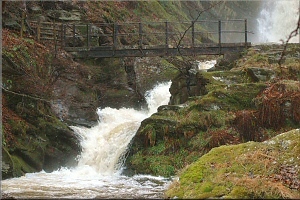 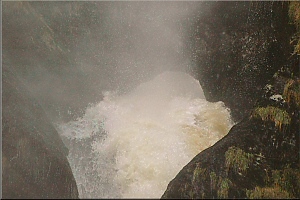 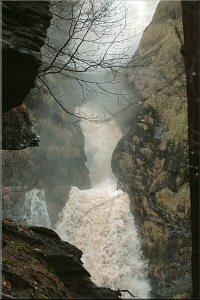 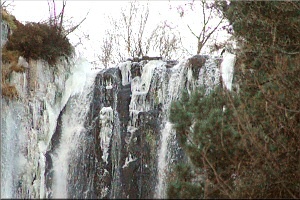 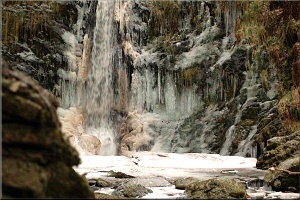 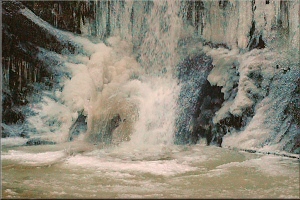 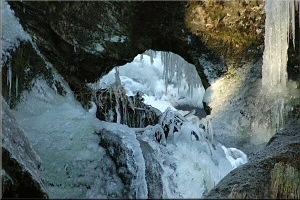 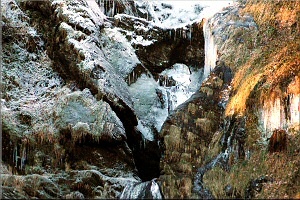 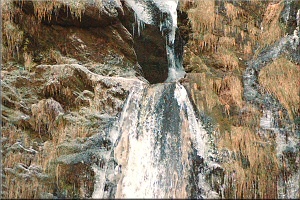 Lower down are pictures of the raging torrent following the thaw on the fullmoon of 11th January. 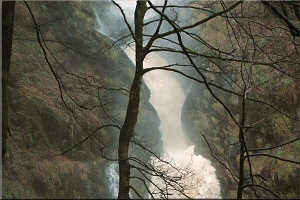 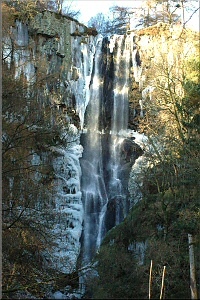 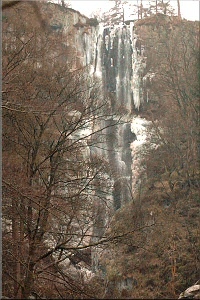 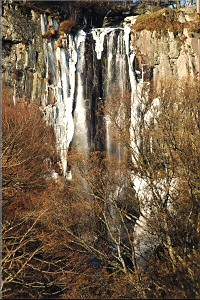 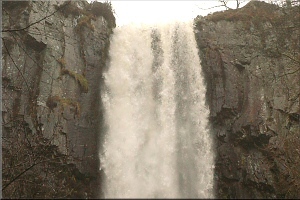 Pistyll Rhaeadr is a place where the artistry and enchantment of nature rarely fail to amaze. 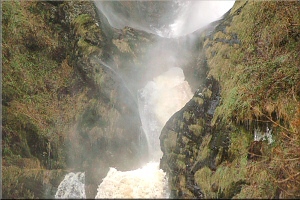 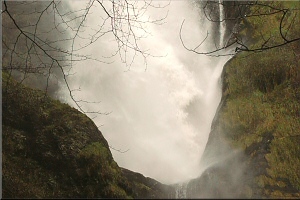 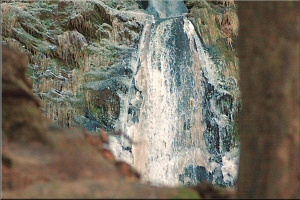 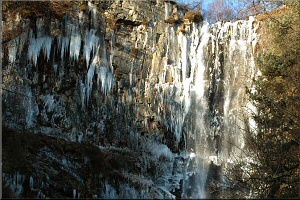 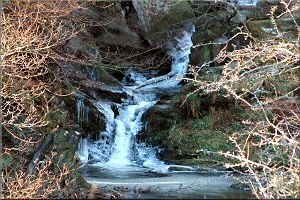 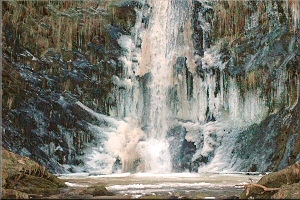 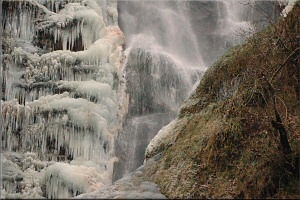 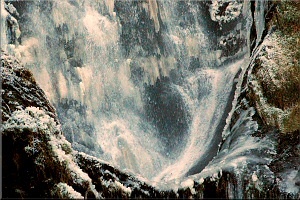 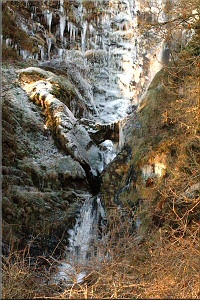 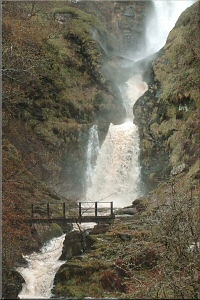 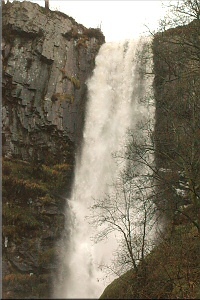 The waterfalls have differing moods and atmospheres, sometimes delicate, or mighty and roaring, or intensely beautiful. 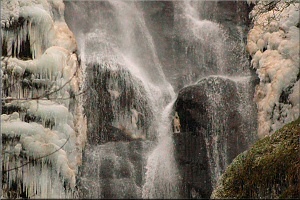 You can see simulacra, or the shapes of faces and things in the water and rocks, in different lights. 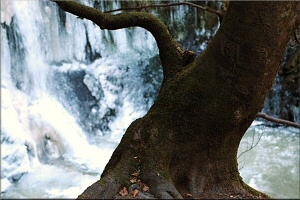 But it's all about more than what we can see or look at. 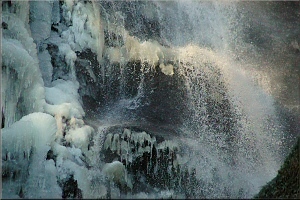 The falls have a way of subtly changing us, bringing messages and giving a gift. 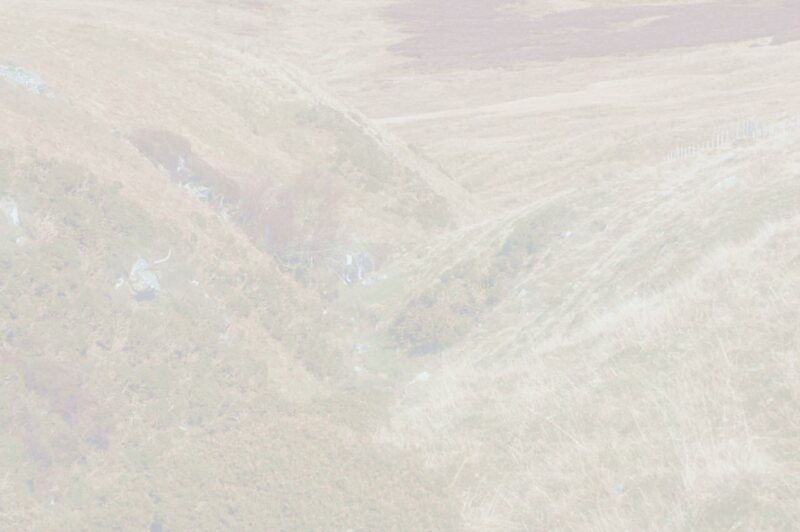 These photos give a taste.